Convenient packages ready to take to the river! Ever wonder what flies are working? Let us do the work for you! Each box is hand packed with one dozen flies specifically selected for your river of choice. 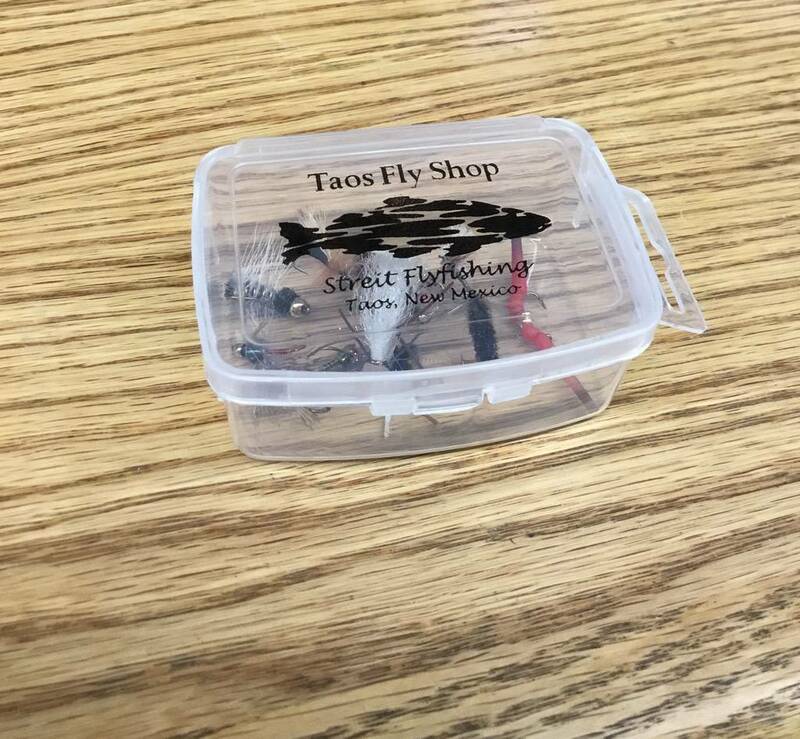 Each selection comes in a Taos Fly Shop logo box and is changed throughout the season to reflect the changing conditions.